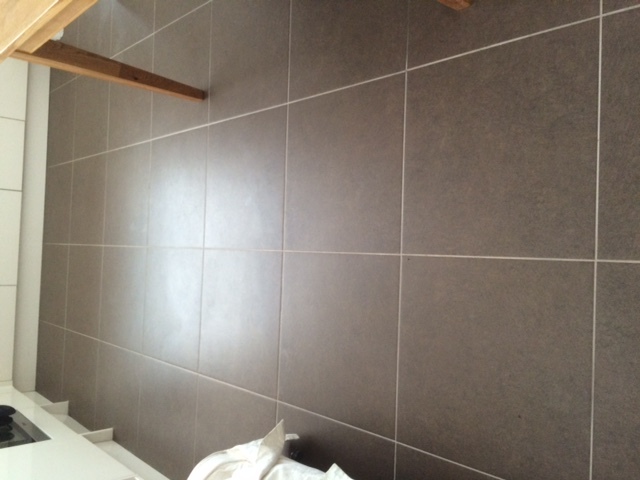 Ceramic tiles are great because they look fantastic and are also easy to maintain. That does not mean that they are maintenance free but often little is done to look after them save normal mopping. 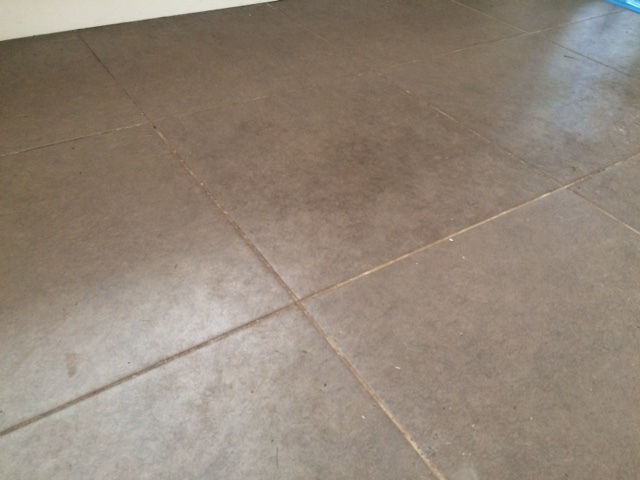 The problem is that all ceramic tiles whilst appearing smooth to the eye are in fact full of small indentations into which dirt can get and eventually get trapped. 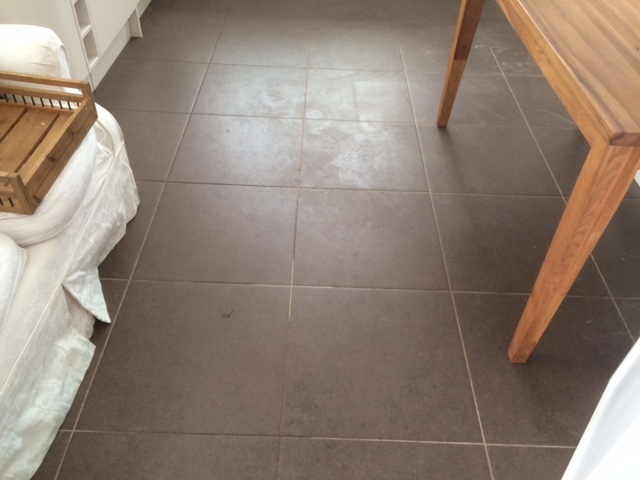 Most suitable floor cleaning chemicals will dislodge some of this soiling but eventually the build up will become too much for them and that’s when the tiles and more obviously the grout begin to look grubby. More and more cleaning at this stage will probably do nothing as a much stronger cleaning solution is needed to break down the dirt that’s built up. That’s where we come in with our tile and grout cleaning Rutland service. 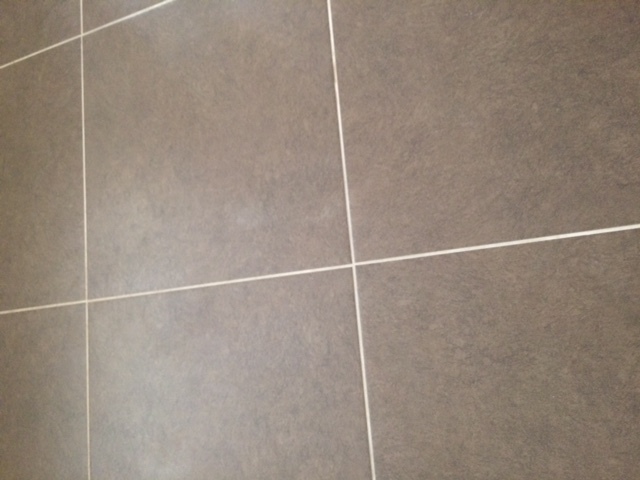 We have today cleaned and sealed a typical tiled floor where the grout was grubby and discoloured despite regular cleaning. This was a house where there is a dog which obviously doesn’t help as it brings in extra soiling onto the tiles. 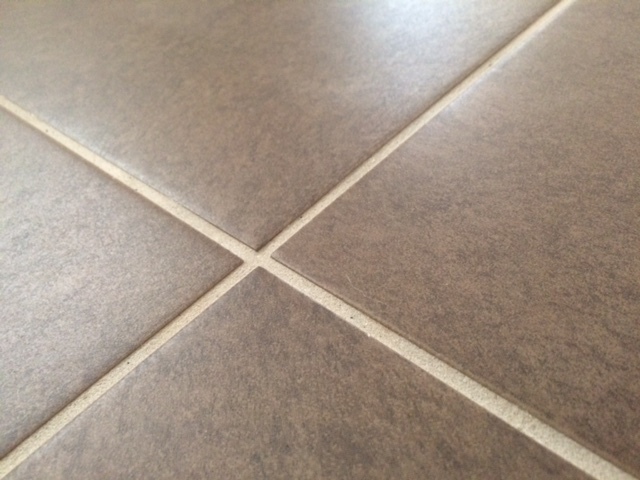 With a thorough deep clean and then sealing with an impregnating seal the tiles and grout not only look as new but also will be far easier to keep clean for years to come. We used a strong alkaline cleaner which breaks down the soiling aided by the use of a heavy duty commercial rotary cleaning machine to mechanically agitate the dirt and ensure that the cleaning solution reaches all the hard to reach parts. The whole surface is then thoroughly rinsed and dried using blowers to speed up the process before the impregnating seal is added by hand. 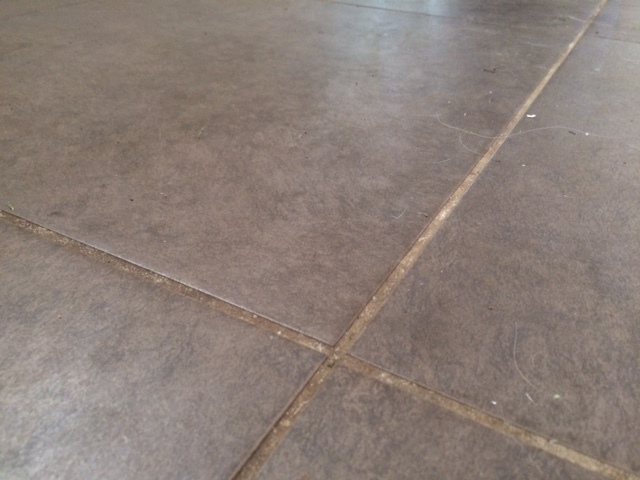 This works by penetrating the upper surface of the tile and grout and as it dries forming a seal that resists oil and moisture and at the same time provides a surface that resists the build up of dirt in the future.